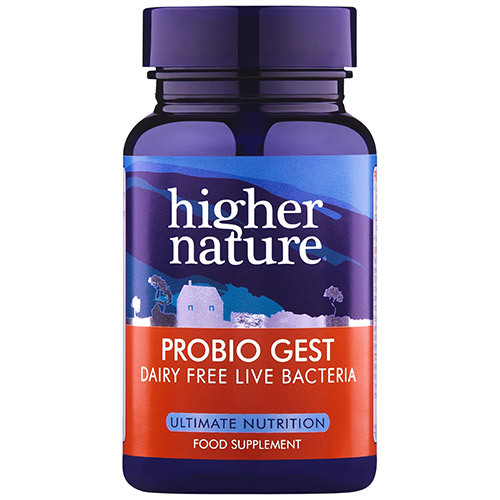 Probiogest contains the probiotic bacteria; Lactobacillus Salivarius, which helps digest protein and may assist in the breakdown of any incompletely digested proteins and their undesirable by-products in the gut. These are very resilient bacteria that double their population every twenty minutes, making Probiogest economical. When we speak of preventing and stopping disease, the immune system first comes to mind. What many of us don`t know is that the immune system is not always our first method of defense; bacteria play a key role in keeping out bodies free from unwanted inhabitants. Clean the intestinal tract, purify the colon, and promote regular bowel movements. Lactobacilli are one of the most important types of friendly bacteria found in the digestive tract. These bacteria get their name (lacto) because they are able to turn milk sugar into lactic acid. Lactobacilli are able to help balance unfriendly bacteria because when they produce lactic acid, they alter the intestinal environment, making it unsuitable for unfriendly bacteria. Lactobacilli have other benefits. They may help maintain and support healthy cholesterol levels. Lactobacillus salivarius is specially stabilized type of friendly bacteria that flourishes in the small intestine. L. salivarius is a new culture, requiring a special culturing process. After years of research, it is just now becoming available. The probiotic bacteria are grown on barley (containing gluten), soya, yeast and lactose derived ingredients. Bulking agent: microcrystalline cellulose; capsule: hydroxypropyl methylcellulose*; fructo-oligosaccharides, lactobacillus salivarius, anti-caking agent: magnesium stearate*. Adults: Take 1 - 2 capsules a day, between meals, or before bed with a glass of cool drink. Children over 8 years: Take 1 capsule a day, between meals, or before bed with a glass of cool drink. Refrigerate before and after use. Once opened, consume within 3 months. Below are reviews of Probiogest - Probiotic Bacteria - 30 Vegicaps by bodykind customers. If you have tried this product we'd love to hear what you think so please leave a review. 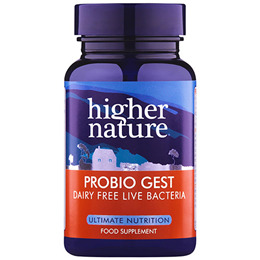 Contains Lactobacillus Salivarius which helps digest protein and may assist in the breakdown of any incompletely digested proteins and their undesirable by products in the gut.